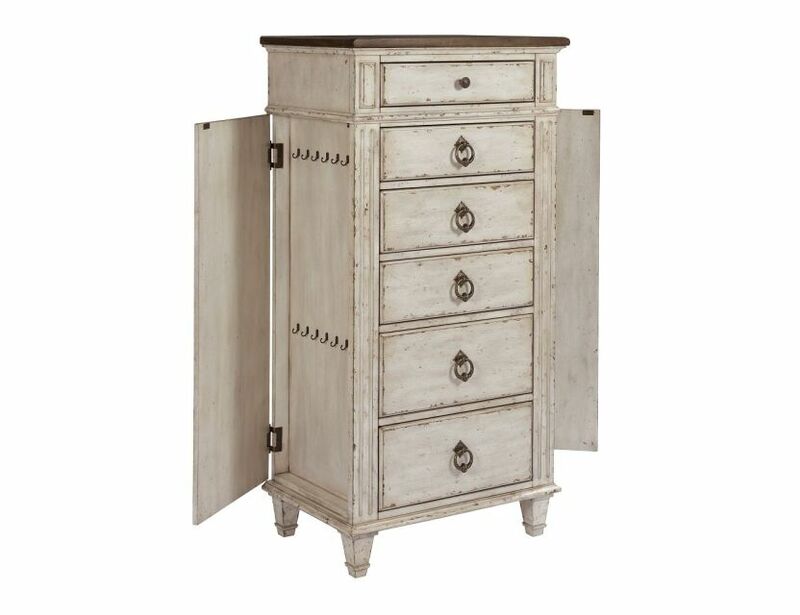 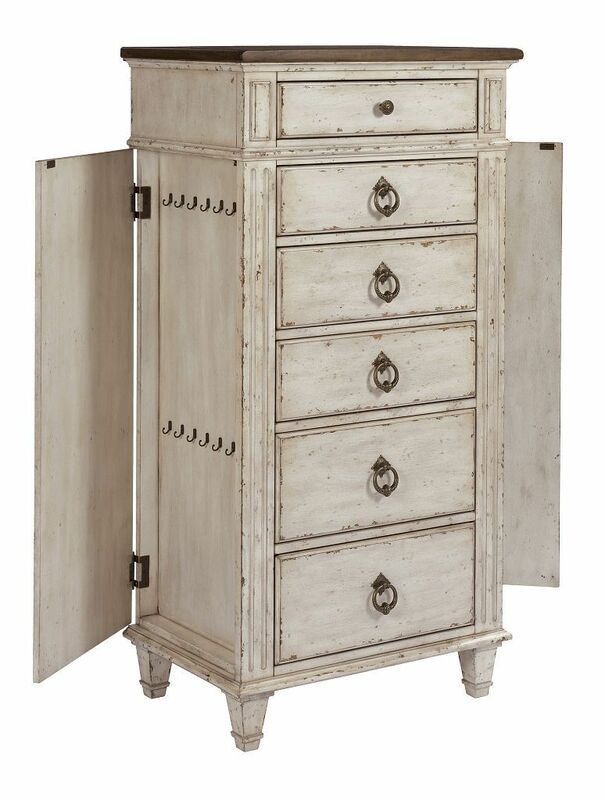 Full of surprises, the Southbury Lingerie Chest is the functional showcase of the collection. 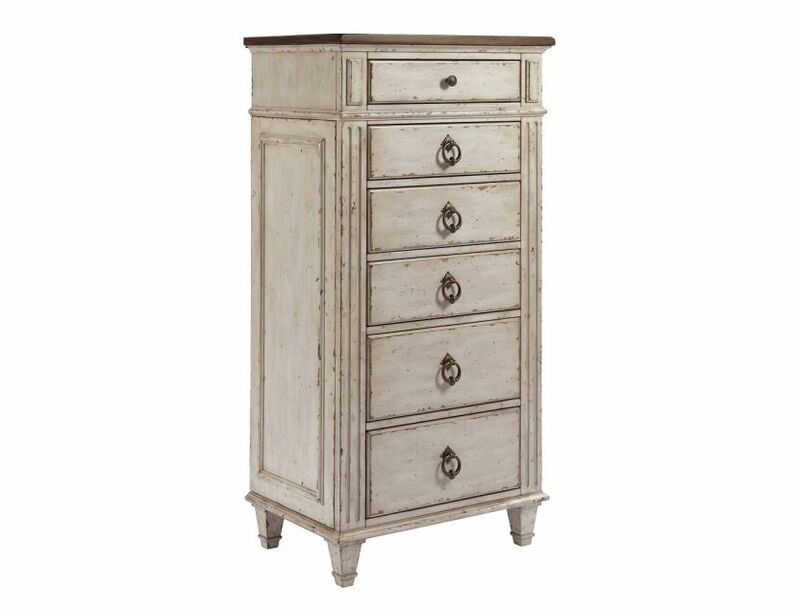 In addition to the six drawers of varying depth, the right and left end panels open to reveal hangers for storing belts, jewelry, or other accessories. 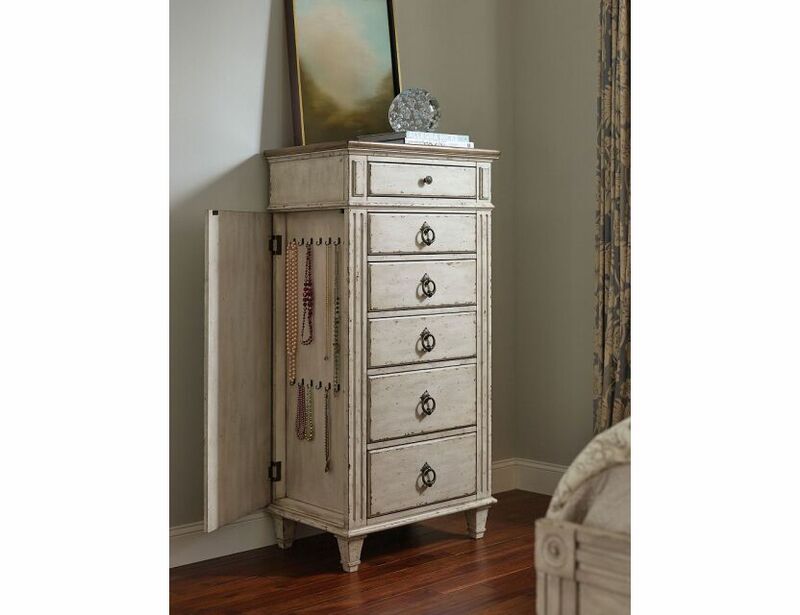 There is also a jewelry tray in the top drawer and cedar-lining in the bottom drawer.